All of these poets have been instrumental in strumming the strings of my heart over the course of my life. 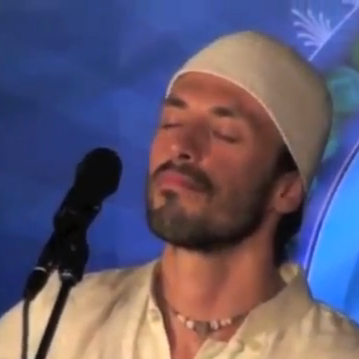 They whisper in my ear just how close the Divine really is, all the time – the beating of my heart keep her rhythm. 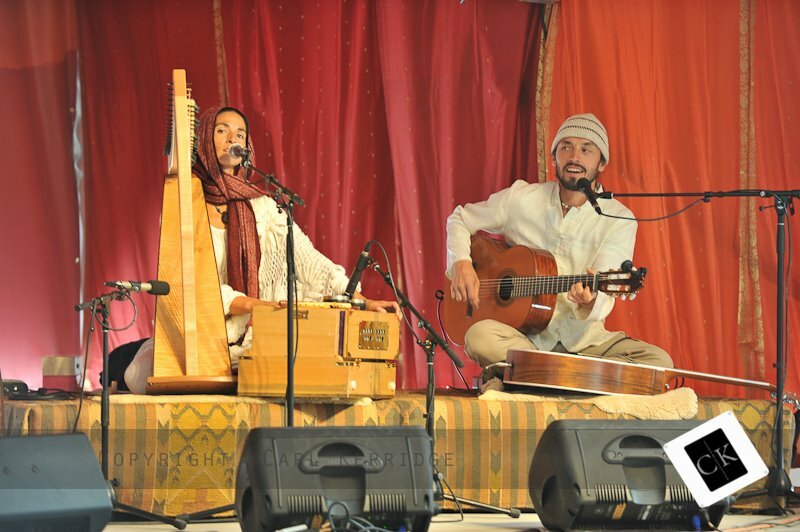 Hearing Mirabai Ceiba play at Sat Nam Fest is like visiting poetry and open doors of love, one after another. In this podcast, Angelique and Marcus share how they met and fell in love, what life is like being partners, parents and traveling the world together following their dreams. Enjoy. Photos: Carl Kerridge To listen to the show click on the player below. 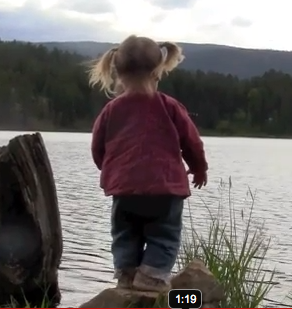 If you are having trouble, click here. 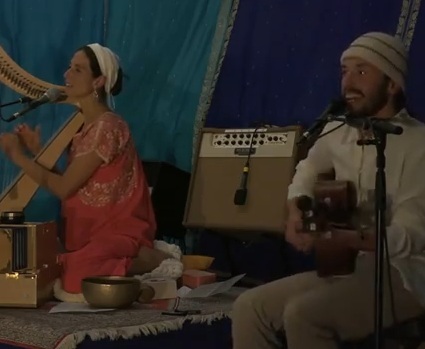 Where is My Guru rolled up at Sat Nam Fest at Joshua Tree Retreat Center on The Buzz Bus to take in four full days of Wahe Guru, Sadhana and remembering to wear white underwear. We are proud media sponsors for Sat Nam Fest East & West. 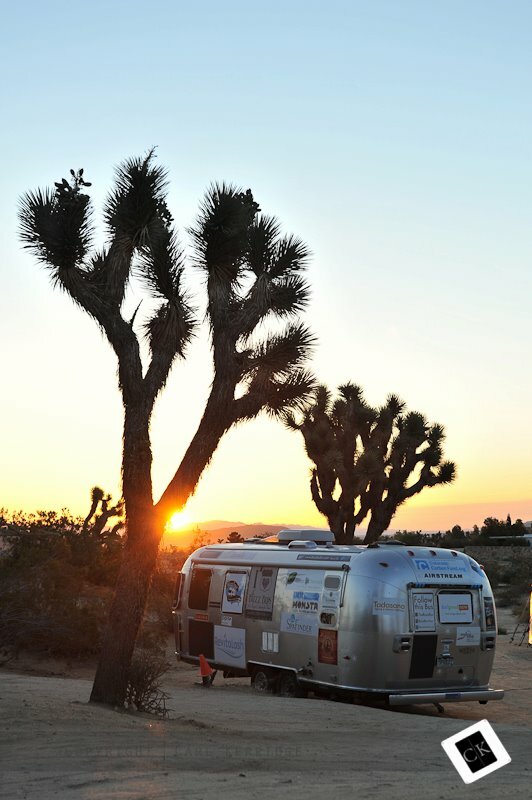 We have set up shop in the airstream (see picture below) for a weekend of fun, unity, a whole lot of Sat Nams and some great interviews with all of your favorite teachers, artists and musicians. 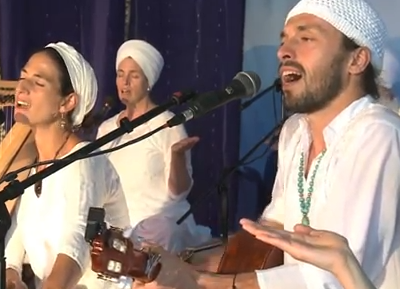 Video: Sat Nam Fest 2011 Closing Ceremony with Mirabai Ceiba, Snatam Kaur and more! 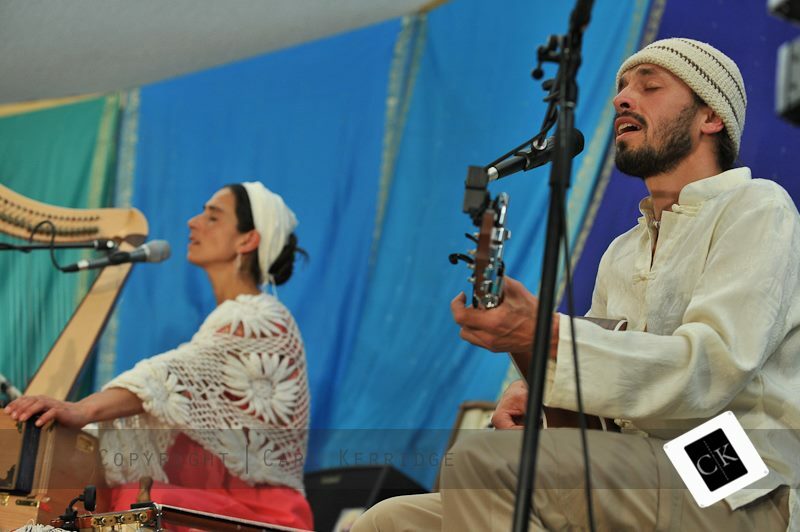 Video: Mirabai Ceiba Invites You to Spirit Fest!